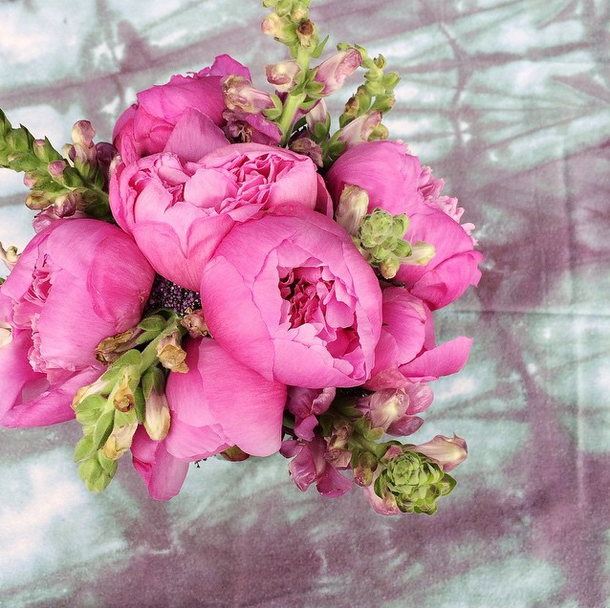 After the riotous bold colors of the holidays, I'm feeling drawn to a palette of pinks and purples — which sounds like a 6-year-old girl's favorite colors, but in dusty muted tones, the pair can be quite sophisticated. Here's a little winter eye candy to cut through the cold. 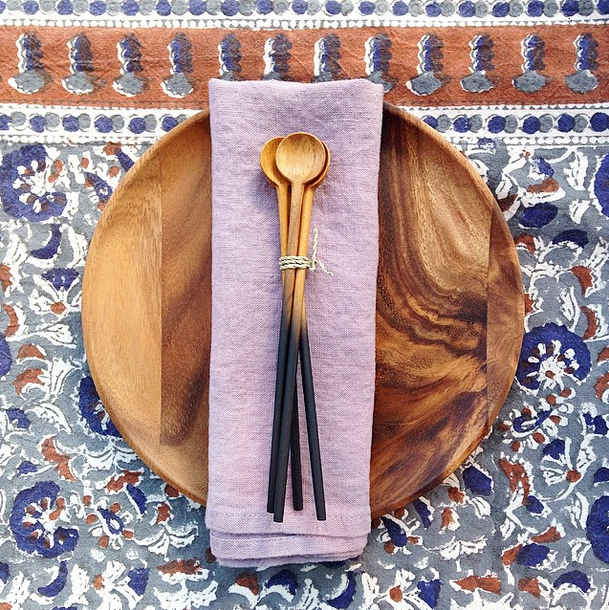 Silk tie dyed tablecloth from Shabd, available at Salt & Sundry. 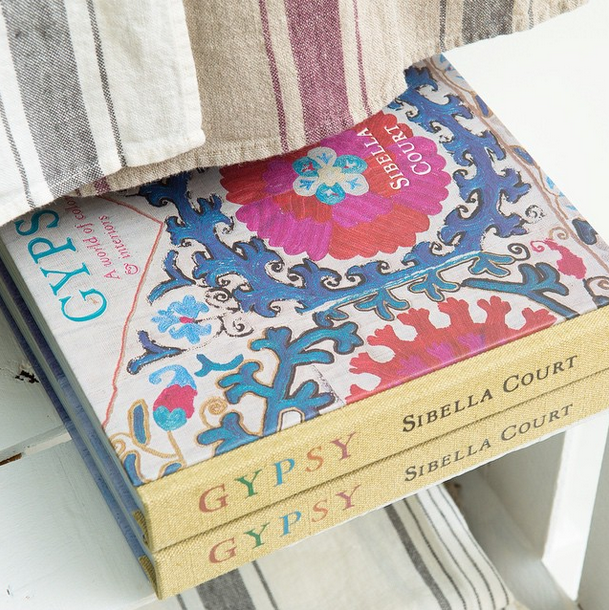 Sibella Court's fabulous new book Gypsy, full of warm bohemian interiors. 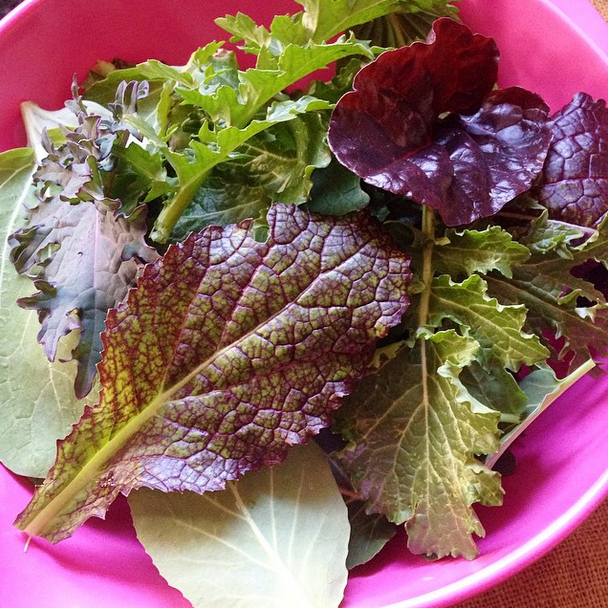 A recent harvest from the gorgeous bed of greens Love & Carrots planted in my backyard this fall.